We have been supplying CCTV for retailers, homeowners and many other public areas for a number of years now. Our CCTV systems allow you to keep a close eye on what is going on around you with just the touch of a button. Not only that, but our CCTV systems can also be connected to your mobile phone, so you can check what is going on regardless of where you are. CCTV is becoming increasingly popular with more and more homeowners as a crime prevention tool and can be placed outside your home or in certain rooms, to help you keep an eye on your property. We will provide you with a free survey and risk assessment for your home, along with a free system design and written quotation. Our aim is to provide our clients with the best possible service. Our CCTV systems provide 24 hour surveillance on your property and will continue to record on your hard disk, even during playback mode. 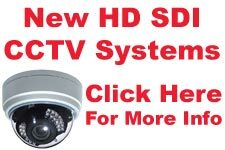 We only offer CCTV that performs to the highest quality, with options ranging from fixed units to high speed motorized dome cameras. Our CCTV systems can be supplied with automatic intruder tracking. Our CCTV systems come complete with a 12 month parts, labour and call out guarantee. For more information, please contact us on the number shown below. Based in Preston, we have been offering security systems to both commercial and residential customers for a number of years now. Security systems are becoming more and more popular, and should be considered by all; regardless of your location. If you have any questions call today on: 01772 740 864 to find out more. © Copyright 2019 - Badger Alarms - All rights reserved.